Jeremy Cowart speaks at Campus Night at California Baptist University. 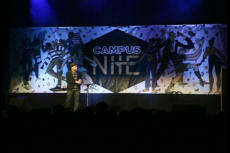 Campus Night – Jeremy Cowart from Lancer Media Group on Vimeo. 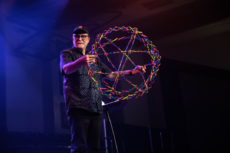 Elijah Hickman | Banner | Danielle Strickland, author and advocate against human trafficking, delivered an impactful message at the first Campus Nite of the spring semester.